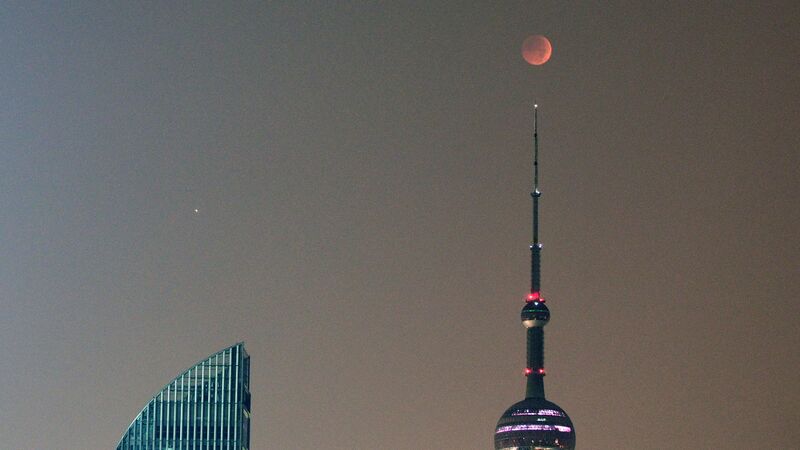 On Friday night, Mars got closer to Earth than it has in the past 15 years, as the moon saw "the longest 'blood moon' eclipse of the century," National Geographic reports. The details: Totality lasted for almost two hours, CNN reports. It wasn't visible to people in North America and the Western Hemisphere, as the eclipse took place during daytime hours. The moon is seen above a tower in Guangzhou, Guangdong Province of China. Photo: VCG/VCG via Getty Images.